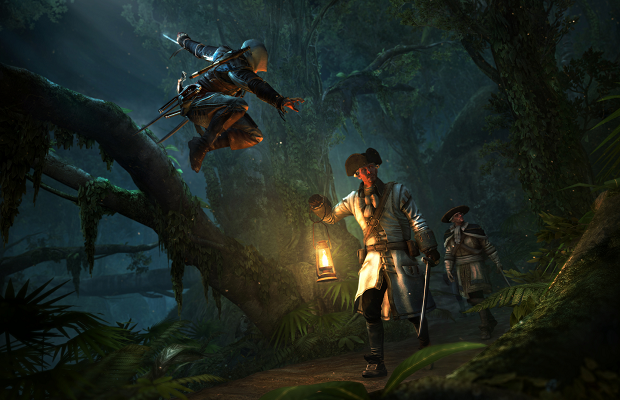 If you’ve purchased Assassin’s Creed IV: Black Flag, you’re probably already well aware of the Uplay Passport system. An online pass much like those used by other larger studios, it’s a code used to verify the purchase of a new game, and then grant access to certain content. These practices are often the target of criticism, and it seems like Ubisoft has taken this to heart, and is eliminating the passport program. Starting with Black Flag, anybody who doesn’t have a Uplay Passport code can now receive one for free instead of paying an additional fee. Future Ubisoft games will simply not include a code altogether. The explanation from communications manager Gary Steinman is as follows. The Uplay Passport program was initiated as a means of giving customers full access and support for online multiplayer and features, along with exclusive content, bonuses and rewards. However, games today are blurring the line between offline and online, between what is “single player” and what is “multiplayer.” Based on that and on the feedback we received from you, we recognized that Passport is no longer the best approach for ensuring that all our customers have the best possible experience with all facets of our games. Assassin’s Creed IV: Black Flag is currently available for the PS3, 360, and WiiU, with next-gen and PC versions coming later this month.